The following guest post is by my hubby Neil. Disclaimer: As part of a FitFluential campaign, my hubby Neil received a pair of Saucony ISO-Series Triumph, in exchange for his honest review. The opinions shared are his own. Before moving to Portland, I would surely have called myself an avid runner. It seemed I was always training for a different race, tailoring my workouts and strength training to compliment running and getting in my miles whenever I could. 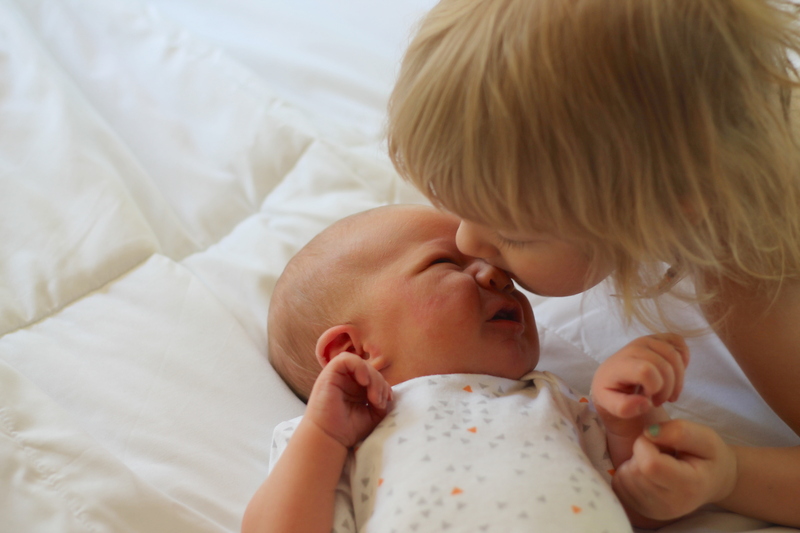 Things started to slow down a bit when Edith was born, but I was still running. 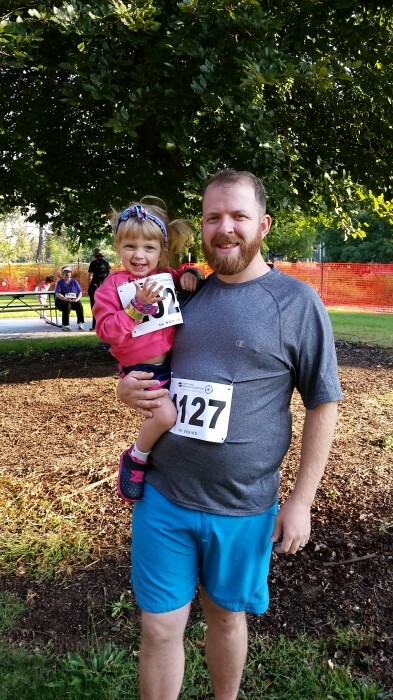 I finished my 2nd half marathon of the year after she was born (the Rock and Roll Half Marathon in Montreal) as well as a number of 5k and 10k races as part of my training. I started to lose my way a bit once we moved to Portland. I was working a less flexible job that didn’t allow for as many runs during the day and with no shower, we were spending a lot of time exploring the city and I didn’t have any running partners any more. 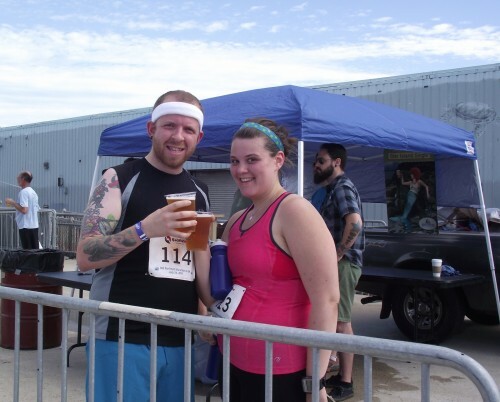 My training started to fall off and I ran the worst of my 3 half marathons last October. Lately, I’ve had the itch to start running regularly again and to really take it seriously again. When Lindsay asked me if I wanted the opportunity to try out the new Saucony ISO-Series Triumph, I jumped at it! Until now, I’ve jumped around from shoe to shoe and hadn’t been able to settle on one that was right for me. 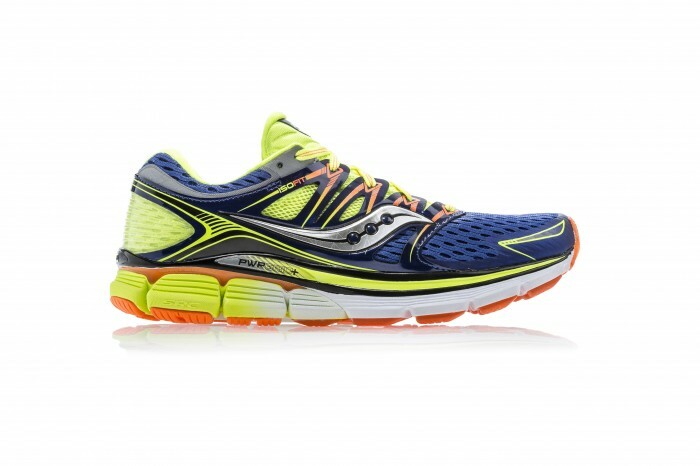 A neutral, cushioned shoe has always been what I’ve found works best for me and the Triumph fits that bill. As soon as I put the Triumph on, I knew I was going to love them. The new PWRGRID+ cushioning technology made for a really comfortable ride and minimized the stress on my knees and legs that I’ve experienced with other shoes. 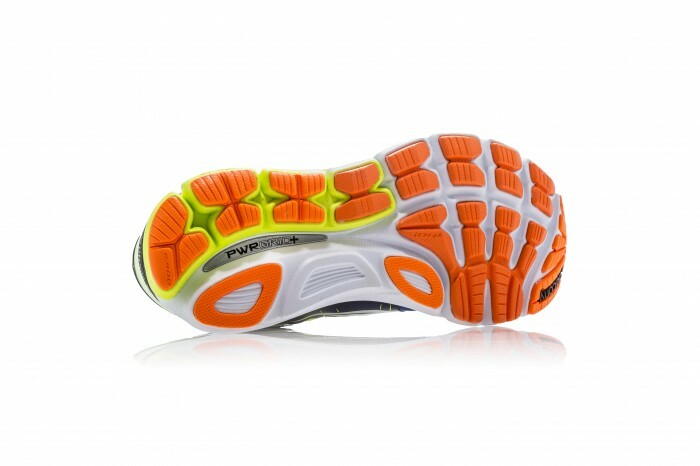 Despite the cushioning, the shoe was incredibly light and responsive. The inner sock on the shoe provided a lot of great stability while running as well. The shoes felt great on the runs I took them on, both on the road and the treadmill. I felt fast and my legs didn’t feel like they had taken the same pounding that they did in some of the other shoes I’ve tried that were a similar weight, but less cushioned. I’m really looking forward to running many more miles in the Saucony Triumphs as I make my way through the next step in my training and fitness journey. Now on to finding a new race to run! Also don’t forget to check out my WOAH face over on Lindsay’s Instagram account! 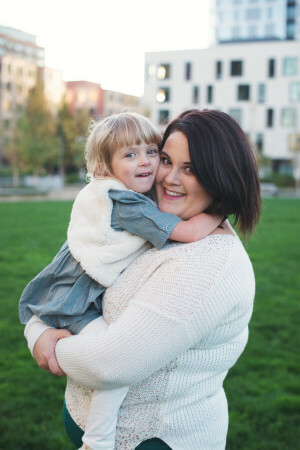 I have been wanting to share this book with your for awhile now but honestly have just dropped the ball a bit when it comes to regular blogging due to pregnancy, birth and now moving (we move in 9 days!!). I have a moment this morning while Neil is our running, Edith is watching an alphabet show and Alder is napping in my arms so I wanted to share one of my new favorite books Plant-Powered for Life: Eat Your Way to Lasting Health with 52 Simple Steps and 125 Delicious by Sharon Palmer. I received an advanced copy of this book to check out and to feature on the blog if I so chose (<–disclaimer). I often receive books and don’t end up featuring them because they just aren’t ones that I love or ones that I think you will be interested in but this book has easily become one of my favorites and is feature worthy. That being said if I didn’t own it already I would buy it for myself and I see it being a perfect gift this holiday season for family and friends. This book is NOT about becoming a vegetarian or vegan but rather about incorporating more plants into your diet whatever that may be. The aim is simple: to show how anyone, from meat-loving omnivore to junk-food vegan, can benefit by making room in their diet for more whole plant foods. 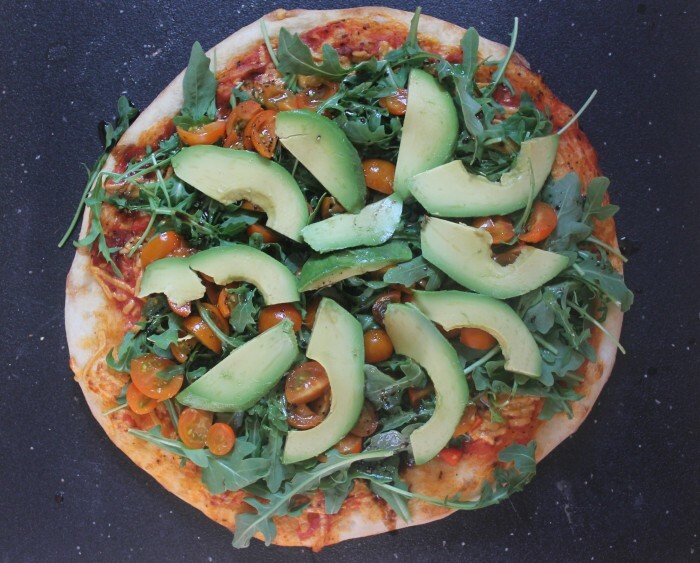 Delicious Arugula Salad Pizza recipe that I made – so good! 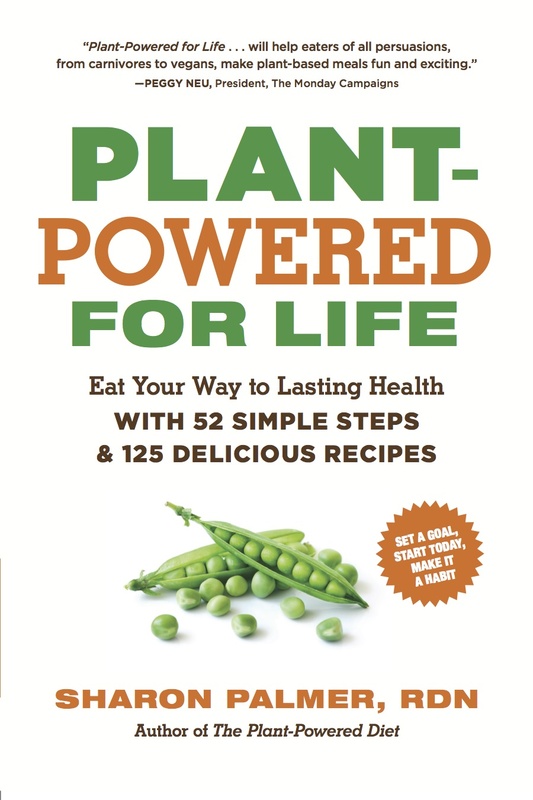 The book is laid out so that there are 52 different steps that one can take to become more plant powered. Along with tips on how to incorporate more plants into your diet each step includes 2-3 recipes that go along with the theme of that step. One idea that I think would be great is to use this book as a jumping off point to add more plants to your diet by following one step and the recipes in that step each week for one year. It would be a great way to transition your diet to a more plant powered one without becoming too overwhelmed. Now I don’t know if that is why there are 52 steps but I think it would be a great plan and of course you can go in any order you’d like, although I would do step one first because it has you set a goal such as you want to go 100% vegan, you’d like to become a more plant focused vegetarian or a plant powered omnivore. The steps are really inspiring and even though I would consider myself a plant powered veg I could always use room for improvement because it really is easy to become a junk food veg or slip into that at times especially when life gets chaotic. So what about the recipes? I have been cooking up lots of the recipes in this book because they all just sound so good. I also love how easy most of them are to put together. There are a few more time consuming recipes or recipes that I have had a difficult time finding the ingredients for but the majority of the recipes are healthy, easy and tasty. 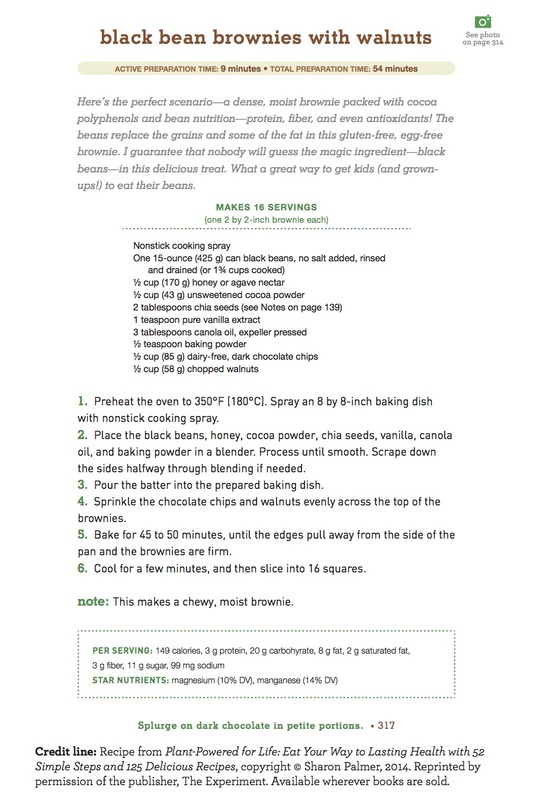 The book also includes great photos for most of the recipes, tips and side notes and nutritional facts. 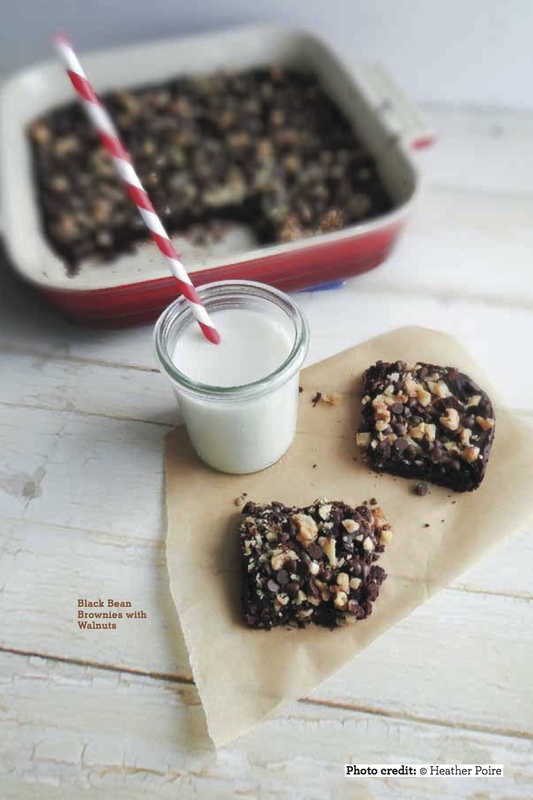 So far my favorite recipes are the Arugula Salad Pizza, Tofu Ratatouille and Neil and Edith love the Black Bean Brownies with Walnuts (recipe below). Have you read this book yet? If you do or if you try this recipe come back and let me know what you think! Amazon affiliate links included in this post. Disclaimer: This post was made possible by Fit Approach and Vega. I received a variety of Vega Bars to try and review on my blog. No other compensation was provided. As always all opinions are my own! Happy Friday! Who is excited for the weekend? I am! I have a few events this weekend and plan on enjoying some quiet time with my family and my new computer – my old Mac officially died earlier this week and my new one should be here sometime today. 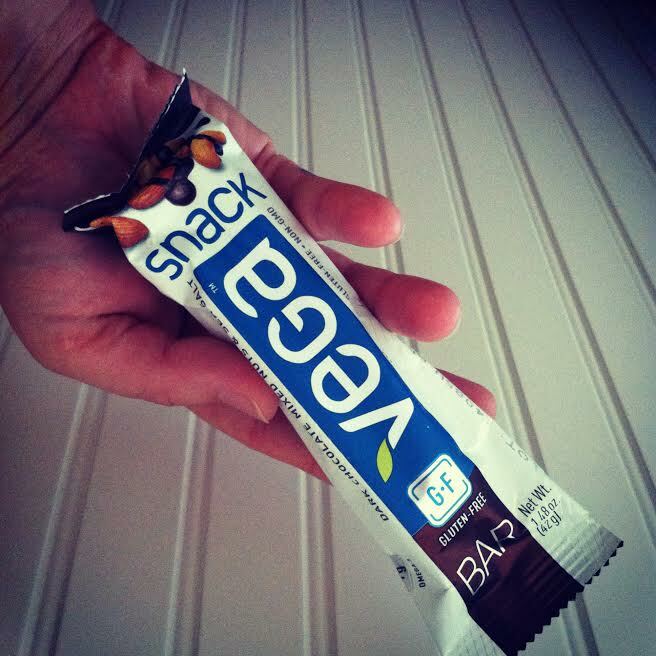 So let’s get down to the love of the day: Vega Bars. I recently had the opportunity to try four different types of bars which included: Vega Snack Bar, Vega One Bar, Vega Sport Energy Bar, and Vega Protein Bar. Now I am not new to Vega, my husband and I have been long time consumers and fans of Vega products but I honestly haven’t really given the bars a try. 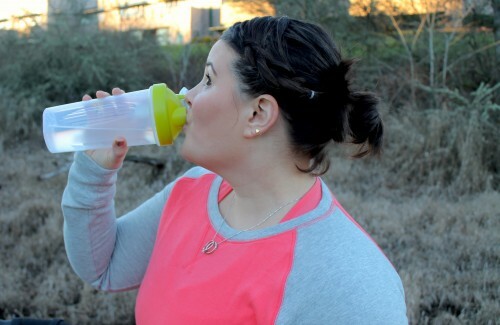 Mostly we buy protein powders and the Vega Sport products but I think that might change now. Let’s start with my favourite bar of the four- the Vega Snack Bar. This bar is brand new and I absolutely loved it. Seriously one of the best snack bars I have had recently and perfect for on the go or a quick snack while chasing my toddler. 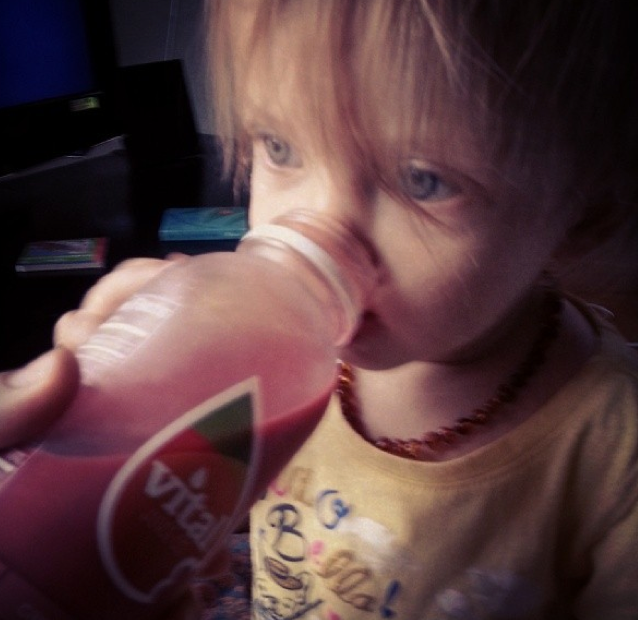 Speaking of toddlers, Edith also enjoyed sharing the Vega Snack Bars with me. I sampled two flavours of this bar: dark chocolate mixed nuts and sea salt and the cranberry almond. Both flavours were tasty but which one do you think I preferred? The chocolate one obviously! There are three other flavours that I now need to try once they are in stores. Which Snack Bar do you want to try first? On to my next favourite bar- the Vega One Bar. I was a little hesitant when I opened this bar because I mean it looks like a glorified candy bar, so I mean how healthy can it really be? While it is coated in chocolate and might look and even taste like a candy bar it is also filled with protein, fiber, omega 3’s and lots of other vitamins and minerals that keep you satisfied. 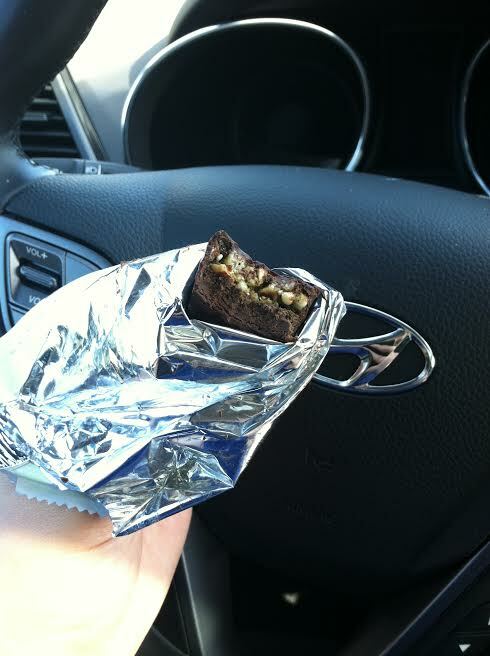 I was out and about yesterday running errands so I through one in my bag to try and of course mid-morning I was getting hangry for a second breakfast (pregnant + 6am wake up = two breakfasts) so I broke out my Chocolate Cherry Almond Vega One Bar. 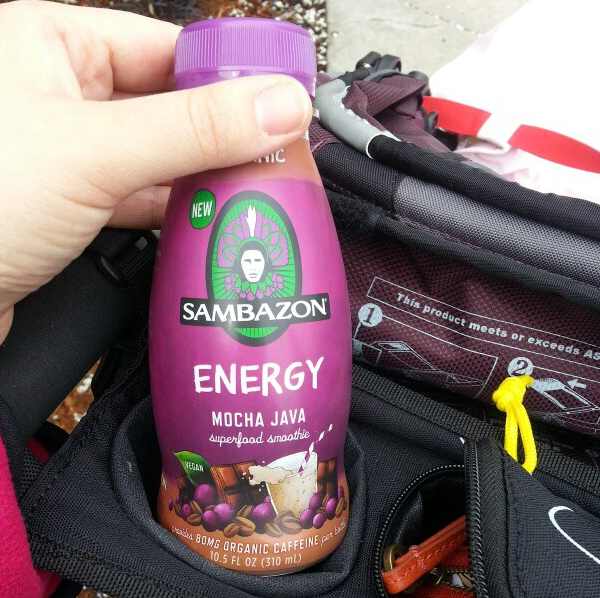 Let’s just say this was oh so good AND it gave me the pick me up I needed and kept me satisfied until lunch. I also was sent a Chocolate Peanut Butter one that I handed off to Neil because I can’t stomach PB right now and he enjoyed it and shared a bite with E who went nuts for it. Third kind I tried was the Vega Sport Energy Bars and well I liked them but I didn’t love them. 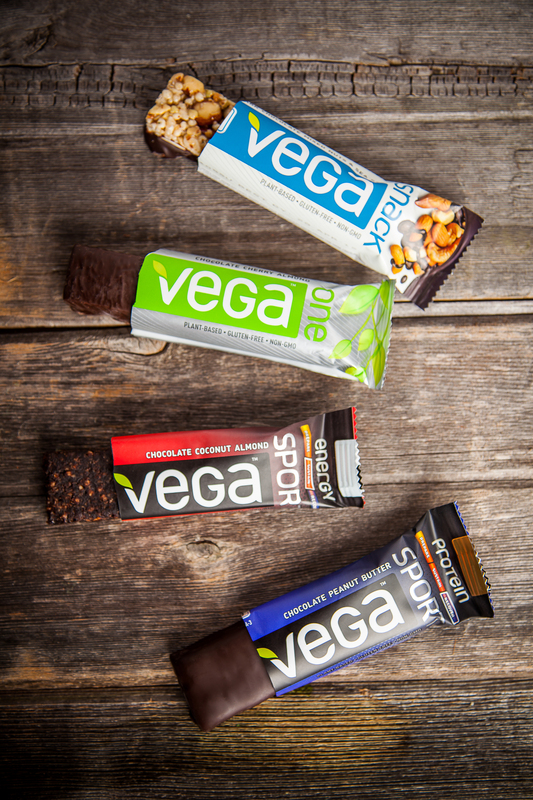 These bars are part of the Vega Sport series which have three categories: Prepare, Sustain & Recover. 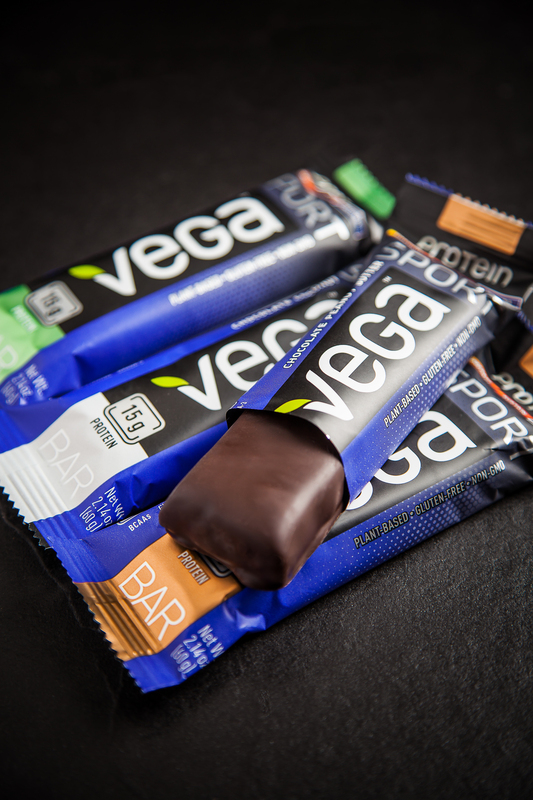 The Vega Sport Energy Bars are part of the Sustain category so they are intended to be eaten mid activity to help provide you with the energy needed to complete your workouts. They come in two flavours Chocolate Coconut Almond and Apple Cherry; of the two I preferred the chocolate. 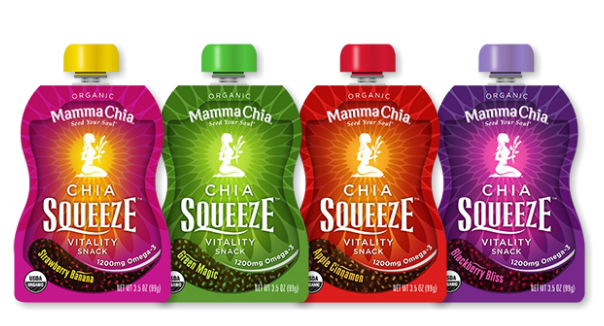 I can’t see myself buying these right now because I didn’t love them for snacking on and I am not currently doing any workouts that require fueling mid-workout. 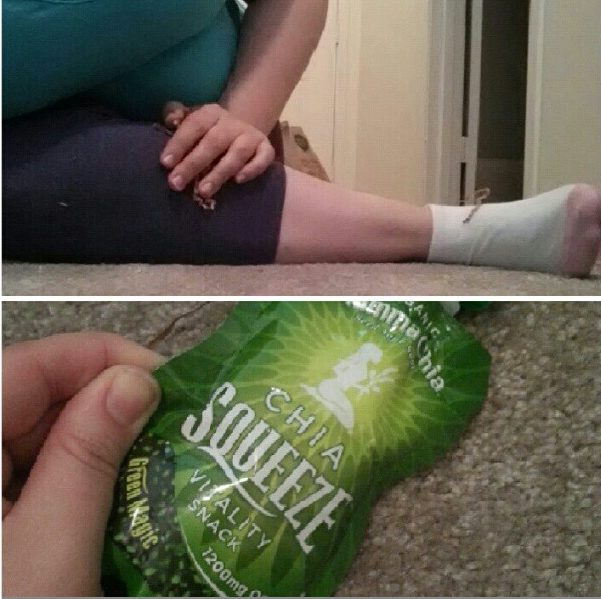 I do however think that these are perfect for those who are long distance runners or cyclist or hikers who need a snack to provide them with energy and is easy to eat and digest. 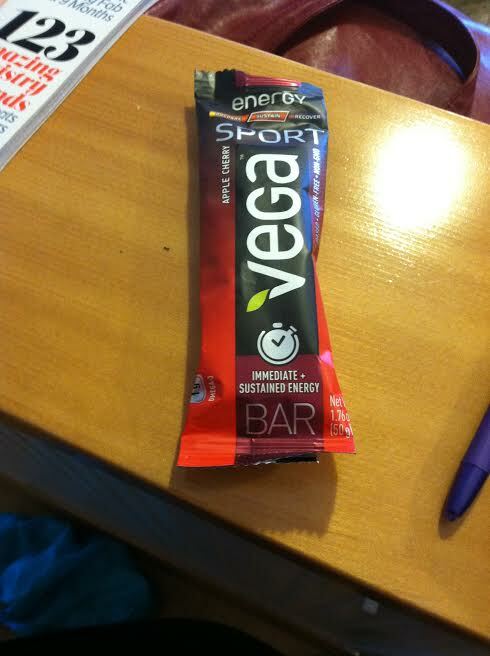 The last bar I received was the Vega Protein Bar which is also part of the Vega Sports series. It is intended to be eaten post workout for recovery. 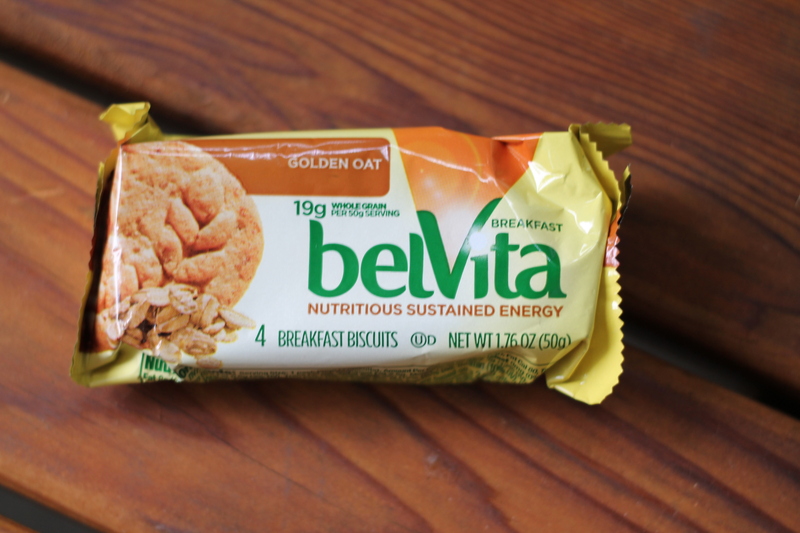 These bars are filled with protein and nutrients to help recharge you and repair your muscles post workout. Now I received two of these bars and realized just before I started this post that I didn’t get to try either of them because someone (I’m looking at you Neil) ate both of them before I had a chance to even sample them! What I can tell you is that he enjoyed both the Chocolate Coconut and Chocolate Mint flavours that he tried. Now I really was looking forward to the Chocolate Coconut flavour so I guess I’ll have to get my hands on one so I can actually try it out. 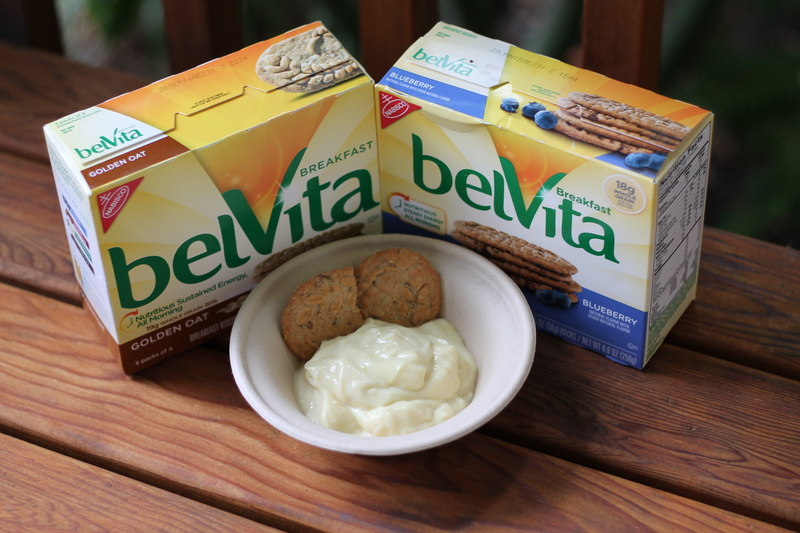 Have you tried Vega bars or products? What are your favourite? What kind of bar would you most like to try? I plan on stocking up on Vega One and Vega Snack bars for postpartum nursing snacks because I know with a toddler and a newborn I’m going to need quick and easy snacks on hand and I remember newborn nursing hunger with E was 10x worse than pregnancy hunger. Where has the time gone? I had planned to tell you about my new favorite juice last week but time just got away from me! So here we are over a week later and no juice left but I’m going to tell you about it anyways because it is fantastic. 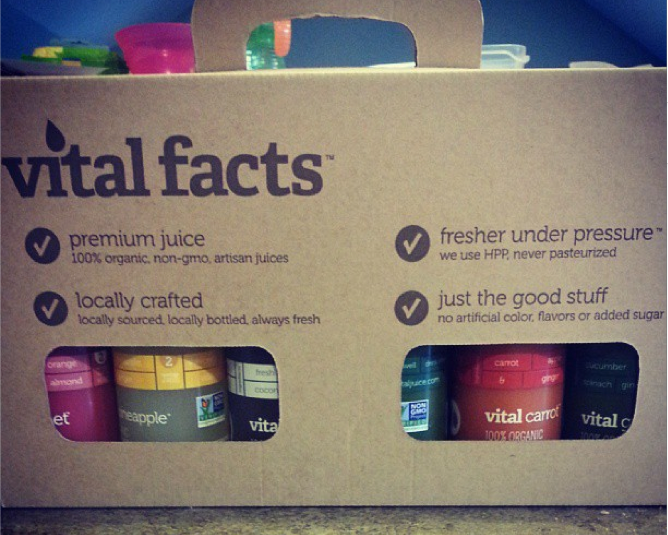 I was provided a case of Vital Juice to try out and review and honestly I was as little skeptical. I am a huge fan of juicing and we juice at home semi-regularly, okay more like in spurts throughout the year, anyways I enjoy fresh juice. The bottled stuff on the other hand is a whole other story. There are a few that I have liked, many that have been just okay and a couple that were just plan awful, so like I said I was a little skeptical. 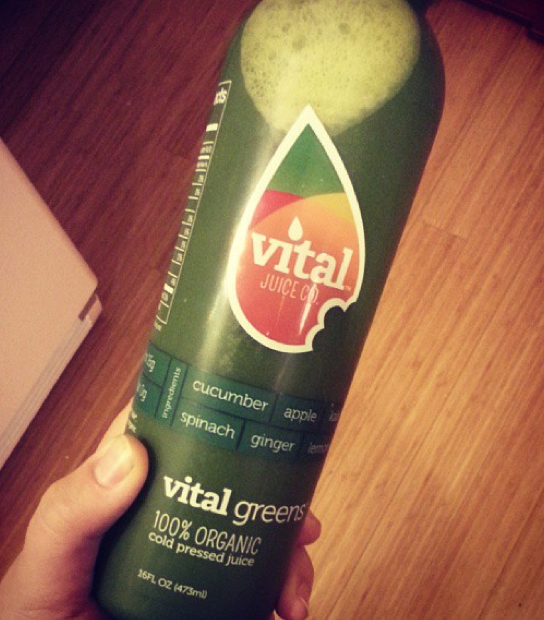 The first Vital Juice that I tried was Vital Greens which is made up of cucumber, apple, kale, spinach, ginger, and lemon. First sip, yum! Second sip, YUMMM!. Third sip…..well you get the point. It was fantastic. I had to stop myself from opening every bottle right then and there just to see if the next was as good as the first. The next one that I tried was Vital Carrot which has apple, carrot and ginger. Now usually a juice like this can sometimes taste a little too earthy for me but again this one was delicious. The apple really balanced out the earthy carrots and the ginger gave it a good zing. 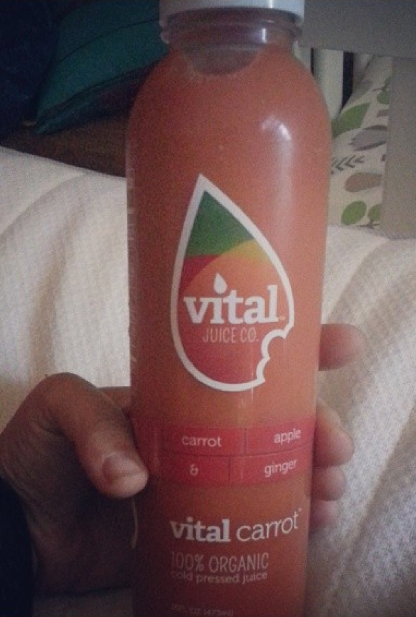 Then I was on to what would be my favorite juice, the Vital pineapple, which has pineapple and ginger. I am a pineapple lover so it’s no surprise that I was in love with this juice, although now that I think about it I would have to say it was really a tie with Vital Coconut (just young coconut water). I love coconut water and I have never tasted any that are better than this one. Lastly, I had another bottle of Vital Greens which of course I loved and then it was on to my last bottle which was Vital Beet with almond. This juice/milk has carrot, orange, almond, water, beet, agave and vanilla and just being honest it was my least favorite. I loved all of the others and will buy them again (yay for having them in local Portland stores!) but this one would never make my shopping list. However, Miss Edith LOVED it. She gulped it up so I guess it was just me! 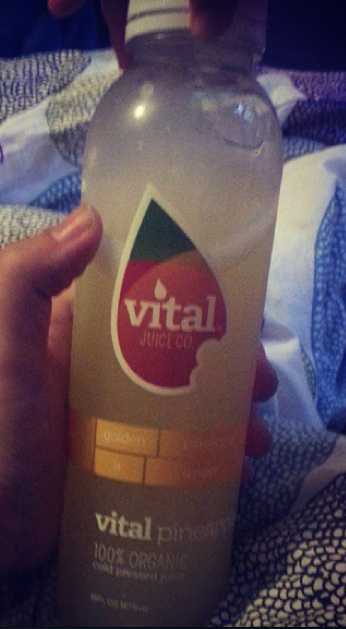 Have you tried Vital Juice? What is your favorite juice? 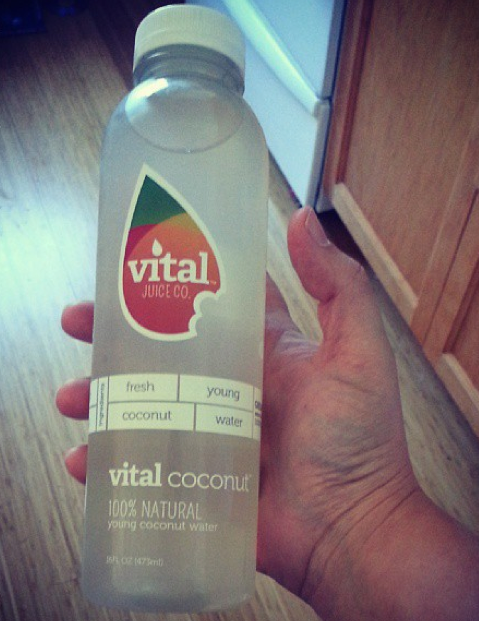 Wondering where you can buy Vital Juice? Check here.